Lonk Sheep are one of the largest native hill breeds, their face and legs are pure black and white. The fleece is trim and even from head to skirting, white and free from kemp. Both sexes are horned. Average mature ewe weighs 45-54kg, rams 75-91kg. Lonk ewes are prolific and good mothers. They are often crossed with Down and Continental tups (rams) to produce a long lean lamb suitable for the modern consumer. 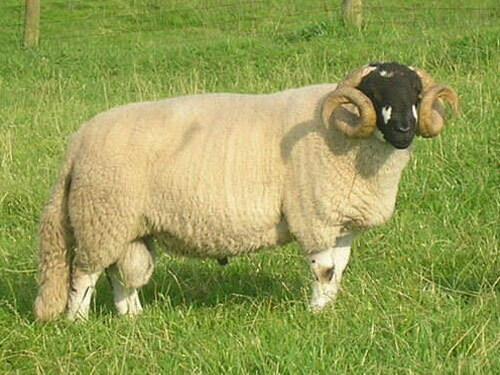 Lonk tups are often put to ewes of other hill breeds such as Swaledale, Dalesbred, Scottish Blackface, and Welsh ewes to produce bigger lamb carcasses and improve wool quality.